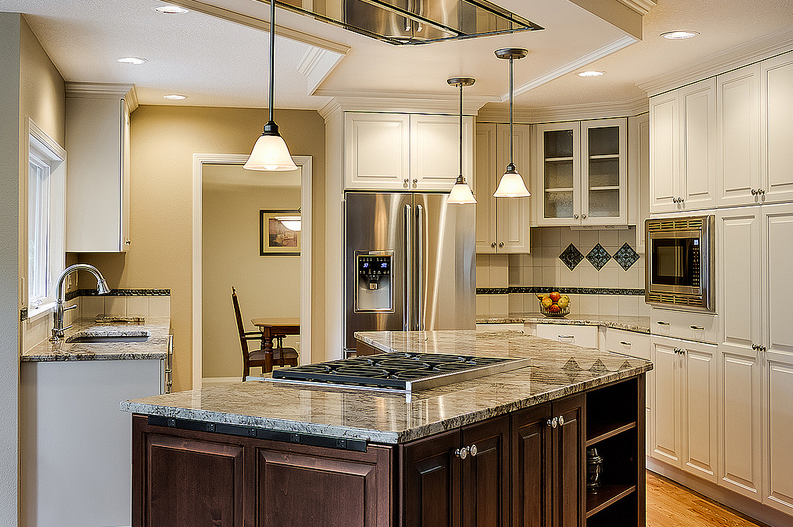 Are you looking to upgrade your kitchen without doing a complete, exorbitant remodel? Perhaps you have been perusing various kitchen cabinet ideas and options to add some finishing touches to the room but are not quite sure where to start? Well, with just a few tweaks and updates, you can take your kitchen cabinets from functional to fantastic, giving your kitchen an entirely new look in the process. There are an endless variety of kitchen cabinet ideas which can give you just the decor upgrade you desire without stretching your wallet too far in the process. We scoured the web for the best DIY and overhaul ideas, narrowing it down to the 10 options we think will inspire your creativity and help give your kitchen your own perfect, personal touch. 1. What Are Kitchen Cabinets? Whether you use them to store pantry items, dishes, pots, and pans, or supplies, your cabinets contribute an essential aesthetic to the look, mood, and overall feel of your kitchen as a whole. Coming in various depths, heights, and widths, you may have an extraordinary amount of cabinet space in your kitchen or just enough to hold your necessities. Either way, there are plenty of techniques you can use to add interest and give them an added stylized lift. 2. What Kinds of Ideas Can You Use to Upgrade Them? 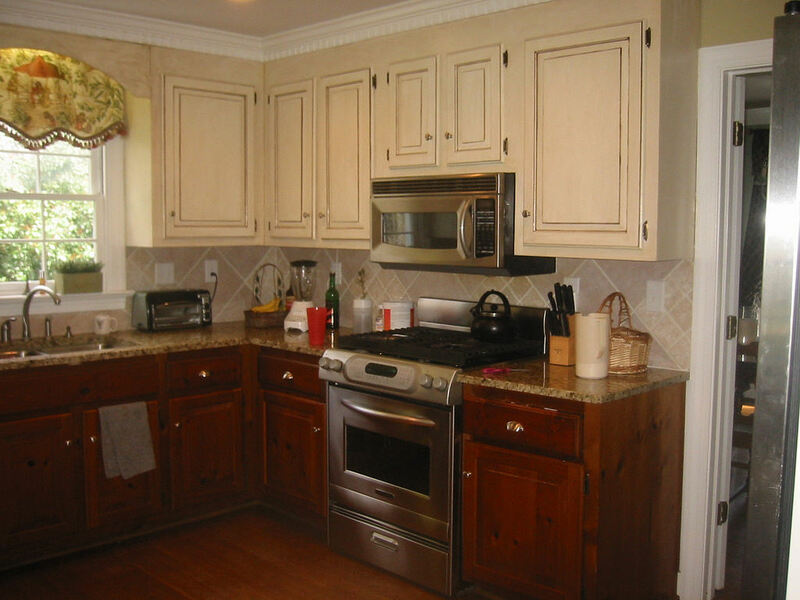 You can choose between an assortment of ideas that vary in difficulty and completion time, whether it requires a complete refabrication of your cabinets, a unique paint job, or adding some extra materials to the overall look of them. 3. How Long Do These Updates Take? The updates we chose specifically can take anywhere from a few hours to a few days to complete, depending on which update you choose, your experience in making such home updates, and whether you require the purchase of any additional materials to complete these upgrades. Some ideas may be best suited to hiring a professional to install once you have decided what changes you would like to make. 4. Are These Changes Difficult to Make? 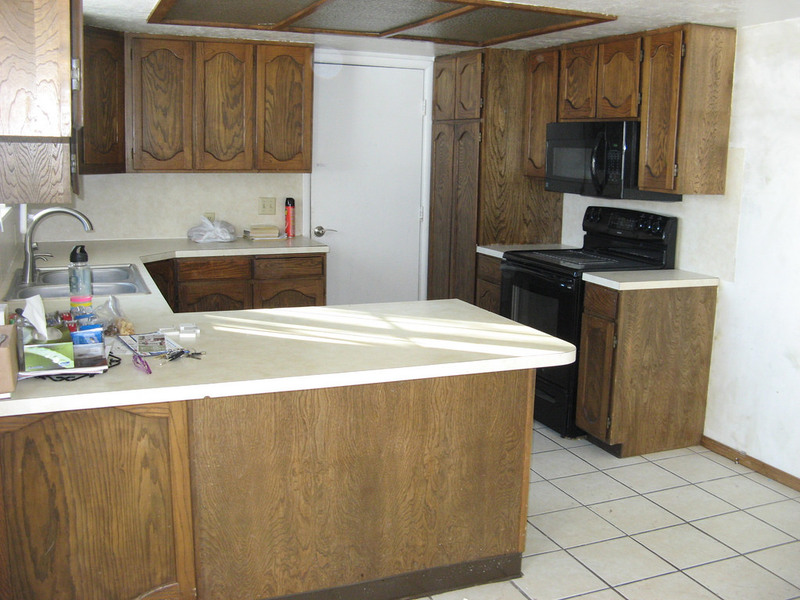 Some of the kitchen cabinet ideas we picked are easier to implement the others, but we made sure our selections could be employed by individuals with a wide variety of experience and preferences. With careful attention to detail and some preparation, anyone can implement and enhance many of these ideas like an interior decoration professional. We reviewed each of the following kitchen cabinet ideas based on the features they implemented, pros, cons, costs involved, and level of ease to complete. 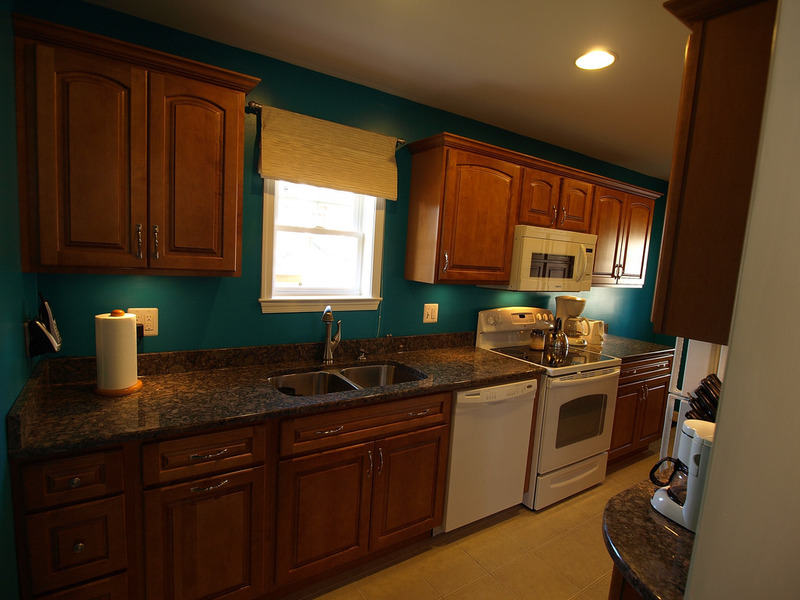 We wanted to make sure that these ideas catered to a variety of personal tastes and kitchen styles. A number of the following kitchen cabinet ideas can be accomplished by those used to completing their own upgrades as well as individuals who would prefer to hire a professional to complete the work. Weathered wood is one of the easiest kitchen cabinet ideas to implement. 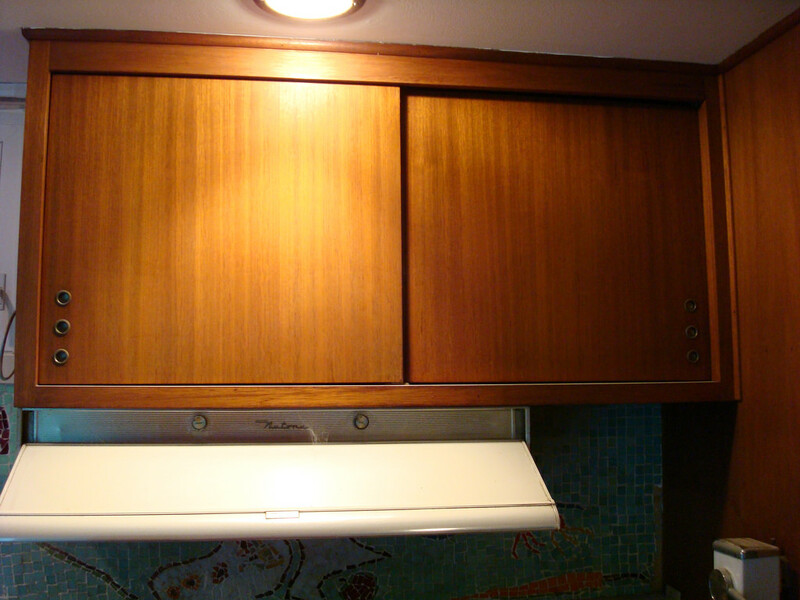 You may already have weathered and chipped cabinet doors installed in your kitchen. Well, instead of replacing them completely, you can capitalize on those nicks and crevices and embraced the distressed look. You can use tools like a chisel or hammer to tap lightly and chip out parts of the wood, for a more rustic, vintage look. Or, if you prefer to start from scratch, choose the wood of your choice and apply polish, a chisel, and drill for a fresh, weathered wood aesthetic. This is one of the most unique kitchen cabinet ideas you could choose, but it makes for an exceptional look that will be sure to stand out from the crowd. You may happen upon some old wide-planked barn doors that someone has put out for the garbage, or simply decide to go to the hardware store and purchase new ones. 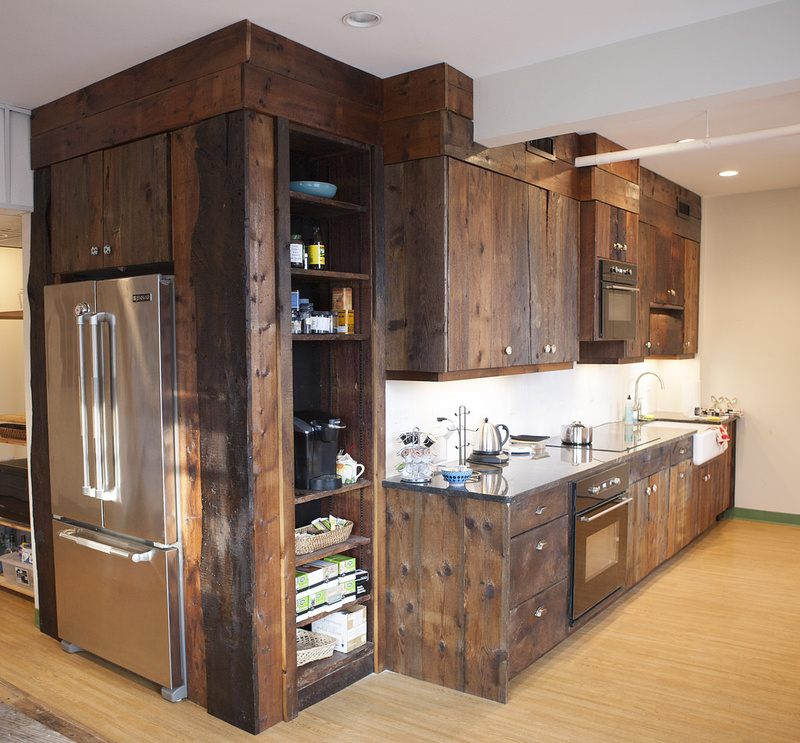 Using recycled barn-wood style doors as kitchen cabinets provide a uniquely rustic and cozy charm. Mesh inserts are a fun and innovative way to update your cabinet doors. 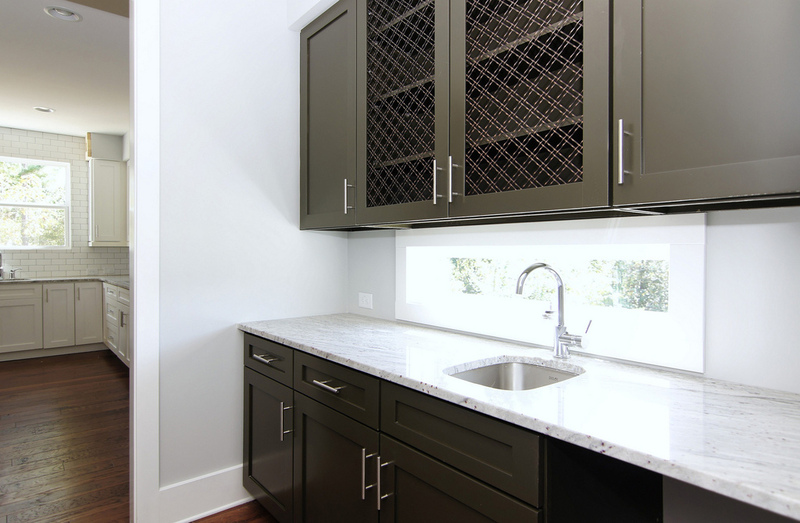 Rather than having glass inserted in the mainframe of your kitchen cabinets, consider using metal mesh inserts to enhance the contents of your cabinets, subtly, without offering too much exposure. The great thing about mesh inserts is that you can use them on only a few of your cabinets if you choose, without throwing off the balance of your kitchen look. This one is similar to our previous selection for kitchen cabinet ideas, but using chicken wire to give your kitchen a rustic, farmhouse aura may be just right if you want to make an affordable yet quality upgrade. 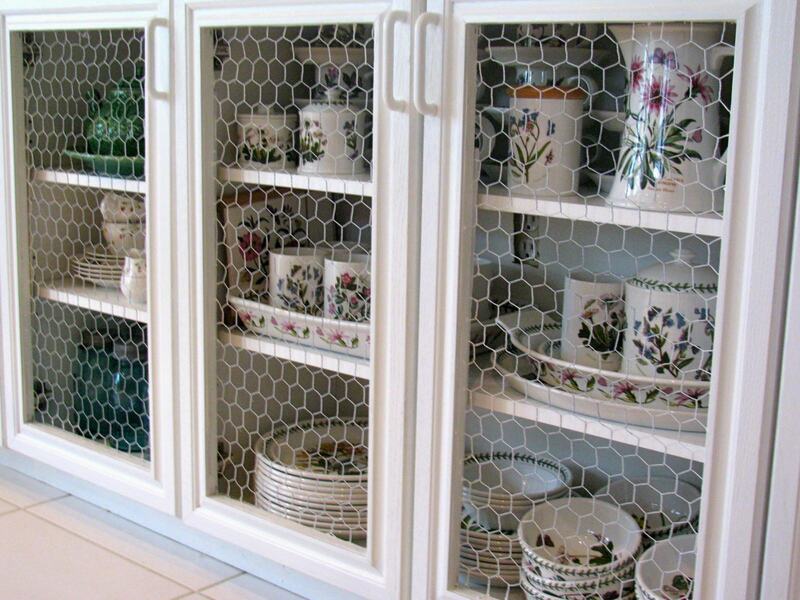 You can use the chicken wire instead of glass on just the top cabinets in your kitchen, or make a comprehensive change to all of them. Another top contender on our list of kitchen cabinet ideas does not make alterations to the cabinets themselves, but rather what is behind them. If you want to maximize your storage space without making any apparent aesthetic changes, consider purchasing a sliding insert drawer pulls. These will give you multiple levels and added space depth for storing all your kitchen essentials and more. Sliding doors are one of our most innovative kitchen cabinet ideas to upgrade your aesthetics to a completely new, stylized look. If you would like to replace your current kitchen cabinets altogether, consider installing sliding doors instead. They are highly versatile and excel at complementing tight storage spaces. In addition, they allow you more room to go about your business in the kitchen without open cabinet doors standing in your way. Two-tone cabinets are by far one of the easiest kitchen cabinet ideas on our list to implement, as they only require you to choose your favorite paint or polish and upgrade the colors in your kitchen. Perhaps you have all wood cabinets currently, and would like to have a little variety in your kitchen aesthetic. You could choose to leave half of the wood as is, and paint the rest of your cabinets white for a complimentary contrast. Hammered copper provides a uniquely beautiful and sleek finish to kitchen cabinets, with varying swirls and hues of color. You may need to seek a professional’s advice to implement this look, but we can promise that you will be more than pleased with the end result. 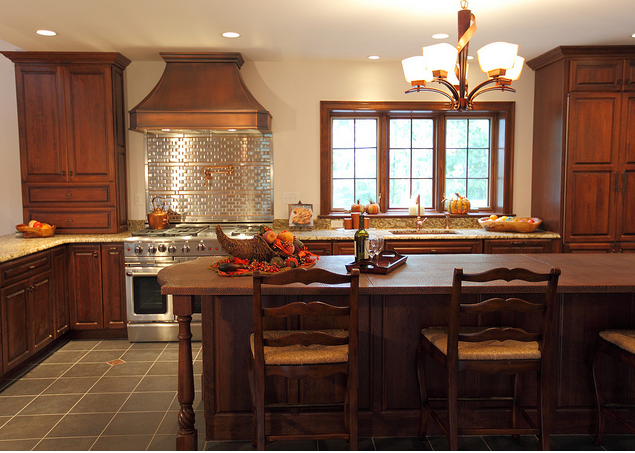 You can choose to use hammered copper in all or only part of the cabinet itself. You can choose to dispense with wood cabinets altogether and install these upgraded frosted glass coverings instead. A definite nod to the 1960s and 1970s, this unique selection on our list of kitchen cabinet ideas will make your space look like it was planned by a professional interior designer. 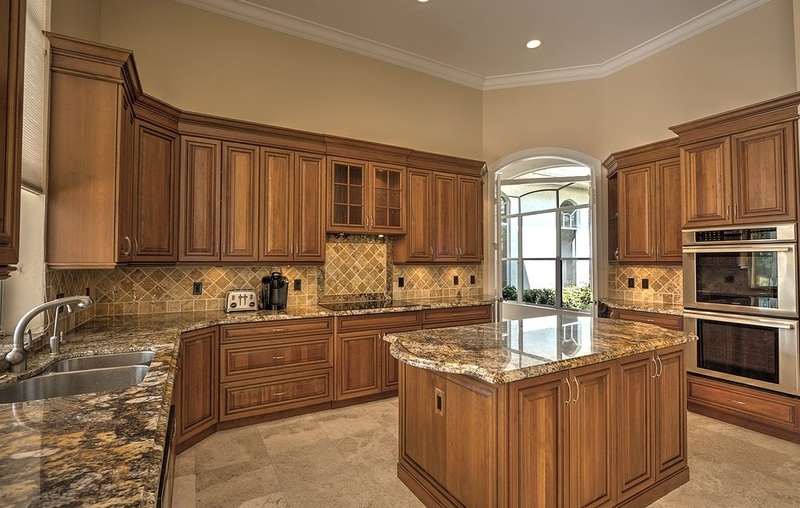 The final selection our list of kitchen cabinet ideas is to implement the disguised cabinets look. This will definitely take some planning and may require professional construction to complete. 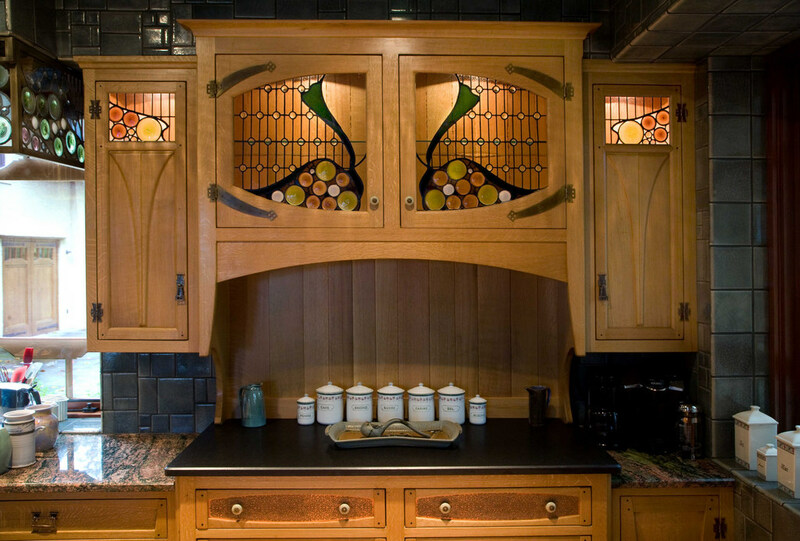 However, if you are tired of your cabinets sticking out into your kitchen space, this might be just the look for you. These cabinets are actually built into the wall, blending seamlessly into the panels when closed. This is a fantastic option if you want to disguise your storage areas without sacrificing space. All of these kitchen cabinet ideas offer unique, interesting methods to enhance your current space in a fresh way. Whether you are looking to completely rip out your current cabinets and overhaul your space entirely, or simply want to make a few aesthetic adjustments, there is something for everyone on this list. If you would like to make changes that do not require too much difficulty, time, or too great a monetary investment, consider trying two-tone cabinets, installing drawer pulls, trying mesh inserts, or weathered wood. If instead, you would like to change the look of your kitchen entirely, use professional help, or are a construction and DIY wizard, then installing recycled barn-wood cabinets, art glass, or disguised cabinets could be perfect options. Overhauling or enhancing your kitchen cabinets can take the center of your home from functional to extraordinary, offering a unique and chic look that impresses your guests and leave you beaming with pride whenever you enter the room.